$165. 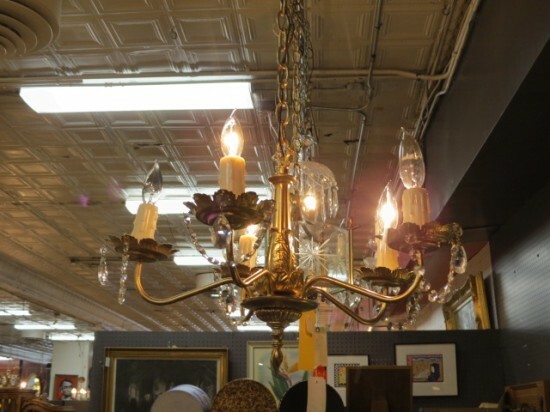 Vintage antique 5 arm gold colored chandelier with crystals, c. 1940. 5 curved, graceful arms with flower shaped boboche. Decorative leaves on stem. Crystals on each arm. Simple, not too fancy! Perfect for your entry or dining room. Very good condition. 19in wide, 14in tall.